Some franchisees are content with running a few locations – maybe a dozen. Then, there are the huge, multi-unit players. Brian Kelley falls in the latter category. As a managing partner of Paradigm Investment Group, Kelley and his partners own a whopping total of 113 franchised restaurants, plus three high-end steakhouses. Here's what he has learned. My partners and I own 113 franchised restaurants and three high-end steakhouses located throughout the country. More specifically, we own 104 Hardee’s and Hardee’s/Red Burrito restaurants located throughout the southeast, six Jersey Mike’s Subs located in the northeast and Texas, and two Blaze Pizzas located in New Orleans and Frisco (Dallas), Texas. We started this venture in the Hardee’s concept dating back to 2000 and expanded into both Jersey Mike’s and Blaze Pizza in the last couple of years. We are fortunate to own both franchised restaurants and our own brand in Donovan’s Steak & Chophouse. We like the franchise model since it provides us access to the ingenuity of other creative entrepreneurs. Developing a successful brand is extremely challenging, not to mention time consuming. Our business model simply picks up where those pioneers typically leave off. The franchise model gives us the chance to evaluate concepts that are typically proven or demonstrate some degree of predictability. It gives us the opportunity to see successes and, in some cases, failures before we put capital at risk. Generally speaking, we are restaurant operators by nature. 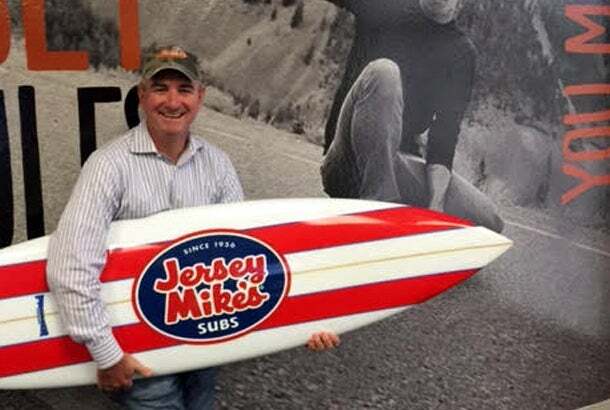 We typically leave the initial brand development efforts to others such as Rick & Elise Wetzel in Blaze Pizza or Peter Cancro at Jersey Mike’s. Our model is pretty simple. We let the surgeons do the surgery and that typically includes brand creation and development. We try to outsource everything we do and focus on executing the core task at hand; operating the restaurant at the highest level possible. Franchising is a more predictive model. The franchisor typically pioneers the concept. Our focus is to take the franchisor’s vision to the next level through a laser focus on execution. The more predictive the model, the easier it is to secure financing. As in any industry, access to capital fuels growth. Plus, the stable/predictable nature of franchise businesses (restaurants in particular) translates into more confidence for consumers, landlords, vendors and investors. Essentially, the “halo” effect in a franchise system helps a franchisee set up his/her business for success. The failure rate for independent restaurants is extremely high. For franchised systems, the failure rate is much less and, in most cases, more predictable. Before joining my partners in 2001, I was in the lending business providing financing to franchise businesses throughout the country. After graduating from USC’s Marshall School of Business in 1992, I worked for GE Capital’s Global Equipment Finance Group, specializing in the auto industry, financing multi-unit/multi-concept dealerships and acquiring sub-prime auto paper before it became fashionable. After a few years with GE Capital, I moved over to Citicorp to manage the bank’s sub-prime auto portfolio while learning a new, growing industry: restaurant finance. Somehow, I became the pizza guy, managing relationships with Pizza Hut, Papa John’s and Godfather’s Pizza. After a few years with Citicorp I was recruited by Atherton Capital during the early phases of the asset-backed securities race, financing franchise businesses in the heyday of the late 1990s. While at Atherton, I designed and constructed the company’s underwriting unit, creating the platform to originate $500 million-plus in new loan originations in the restaurant, gas & C-store and specialty retail space. With the industry imploding in 2000, I made the leap to the operations side of the industry by joining my current partners as the company’s CFO. For Hardee’s, it was a contrarian play. My partners were looking for an opportunity to aggregate as much market share as possible within a concept at the lowest possible price. Hardee’s had nine ad agencies and nine presidents in as many years. Given the brand’s performance, acquiring critical mass at a depressed price was relatively straightforward. Despite the struggles in the late 1990s, Hardee’s continued to maintain dominance in the breakfast segment with the “made from scratch biscuit.” The new leadership was successful in leveraging the strength of the breakfast day part in turning the brand around. In 2003, the brand’s leadership successfully reengineered the lunch/dinner day part, introducing the flagship burger, the 1/3rd pound Angus Thickburger, in a cook-to-order format. The rest is history. Since we acquired the Hardee’s restaurants, leadership at the franchisor level has remained unchanged. Average unit sales volumes increased from $720,000 per year to $1,200,000. For our other growth brands, Blaze Pizza and Jersey Mike’s, our decision was pretty simple. We followed a basic mantra: he or she who has the best food wins. Jersey Mike’s is a throwback to the authentic classic Italian sub, but with so much more. Every sandwich is hand sliced. The certified Angus Beef top rounds are trimmed and cooked right in the store. The bread is baked fresh daily inside each restaurant using a recipe that includes Jersey water! We wanted to pair ourselves with true leaders in the sandwich segment who share our passion for excellence. We think we found the right connection with Jersey Mike’s. In the exploding “fast-fire’d” artisanal pizza segment, there were several players to consider. In the end, we selected Blaze Pizza for several reasons, starting with the taste of the food. Blaze is fortunate to have an executive chef and true food scientist within its leadership ranks in Chef Brad Kent (a.k.a. “the Pizza Whisperer”). The leadership team spent significant time in designing the business model around the taste of the pizza. Each pizza is hand crafted on a thin crust in a build-your-own format. The Blaze concept meets every profile to attract today’s millennial guest. With eco-friendly packaging and a fun/festive atmosphere, we see unlimited potential for this progressive brand. We have been testing local craft beer on tap to further enhance the guests’ overall experience as well. The cost for each franchise business can vary between franchise concepts due largely to the size of the project. Opening a Jersey Mike’s Restaurant has cost us approximately $400,000 per location. Hardee’s typically cost us approximately $450,000 per location and Blaze Pizza has cost us approximately $650,000 before contributions from the landlord to help with tenant improvements. The costs typically include franchise fees, training, equipment, dining décor, signage, architect fees, permits, licenses, opening inventory, etc. The actual cost of the land and building would be extra. Typically, we do not invest in the real estate. There are plenty of resources available on just about every brand out there. Industry publications including Franchise Times, Nation’s Restaurant News, and the Franchise Monitor provide interesting insight into most brands. As part of our due diligence efforts, we visited the restaurants in each concept and competing chains, spoke with the franchisors (and existing franchisees in each system) directly. We spoke with our bankers who specialize in the industry and attended various restaurant-centric conferences to complement our due diligence efforts. For Blaze, obtaining liquor licenses represented some of the biggest challenges. There seems to be a consistent theme amongst the states in this regard. The process is highly bureaucratic regardless of the state. For Jersey Mike’s, we faced several challenges finding real estate opportunities. Building in the northeast presents a challenge simply due to the lack of availability for real estate. It took us over a year to open our first location. At the time, there was only one Jersey Mike’s located in Connecticut when we started the process. After opening our first location in Wilton, Conn., we were able to open several stores in short order. Once they had an opportunity to see the concept, taste the food and speak with our guests, we were able to attract more interest from other landlords. One year later, there are 10 Jersey Mike’s restaurants located in the New York/Connecticut area with four more in various stages of development. First, owning and operating any franchise business is hard work. Yes, the franchisor provides you with their model on how to operate within the framework of their concept. However, they do not tell you how to actually run a business. You’re left on your own to figure out accounting, insurance, real estate, lease negotiations, permitting, construction management, etc. Most new franchisees stumble along the way, leveraging relationships with their personal CPA, a friend of a friend who is an insurance agent, and their real estate broker for contract advice. Do your homework. Make sure those you consult in the “non-operational” side of the business actually have experience in the field, particularly the franchise restaurant space (or other applicable industries). Local store marketing and social media is becoming increasingly more important. Make sure to align yourself with a good PR and/or marketing firm that knows the local turf with enough youth on their team to truly understanding social media. Our primary objective is to build more restaurants in each of our concepts. We are very excited about our choices. Now it’s time to see the plan unfold. If we were to consider another venture, craft beer looks very interesting. We are testing local craft beer in our Blaze Pizzas. It’s still too early to understand the overall impact, but with the industry growing at double-digit rates, it certainly appears to be exciting! I'm also heavily involved in a nonprofit my family founded in 2013, BraveCort Foundation, in honor of our son. BraveCort's mission is to raise funds for pediatric cancer research—an underfunded and often overlooked area of cancer research. At the age of 6, our son Cort was diagnosed with a rare brain tumor that had no documented cure. We hope to help build the Foundation into a major source of funding and support for children's cancer research, leaving a legacy that will provide other children with the gift of a lasting future.